Michelle Probert, who oversees health and wellness programs at Bath Iron Works, was a manager in the MaineCare program during the first term of former Gov. Paul Lepage. The Mills administration has tapped a Bath Iron Works executive to be the new leader of the state’s Medicaid program. Michelle Probert, 41, the manager of integrated health services at BIW, will become the new director of MaineCare services, one of the top health care positions in state government, starting on Feb. 19. Probert will be heading up Maine’s Medicaid system at a time when the state is greatly expanding access to the program for low-income and disabled Mainers. Gov. Janet Mills expanded Medicaid on her first day in office, and an estimated 70,000 additional residents are expected to eventually sign up for Medicaid. More than 255,000 Mainers currently have Medicaid. Probert will replace the current MaineCare director, Stefanie Nadeau, who is leaving the department on Feb. 14. 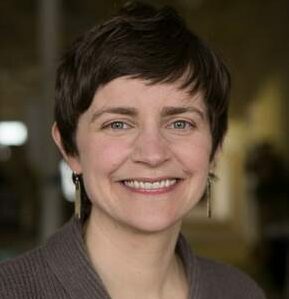 Prior to joining BIW in 2014, Probert was the director of strategic initiatives for MaineCare from 2011–14. “I care deeply about ensuring that everyone in Maine, especially our most vulnerable and at-risk populations, has access to affordable, quality healthcare and the resources they need to live healthy lives,” Probert said in a statement. Probert recently served on the board of the Maine Health Access Foundation, and as chairwoman of the Healthcare Purchaser Alliance of Maine. She earned a master’s degree in public policy from the University of California, Berkeley, and lives in Brunswick with her husband and two children.